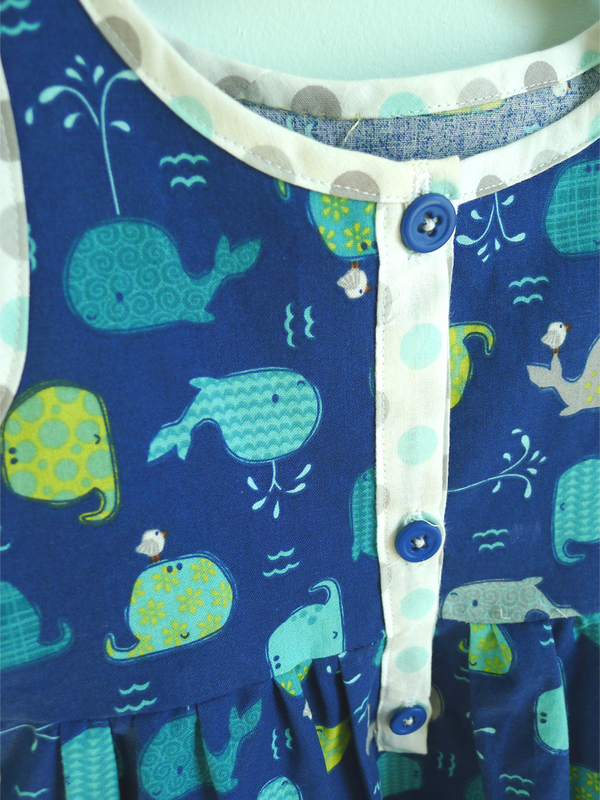 Lately I saw many whales pattern fabrics in store and online, they were all so cute made me hard to decide. In my opinion whales are not a cute creatures, they are big and mysterious. Often I associate whales with the words mighty and respect. 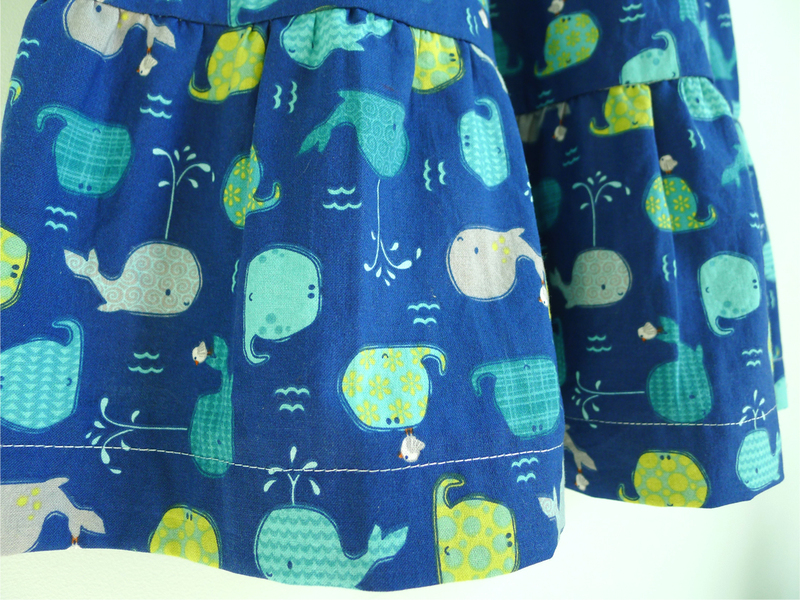 It’s amazing how those giant whales images can be translated into cute lovely fabrics for children. 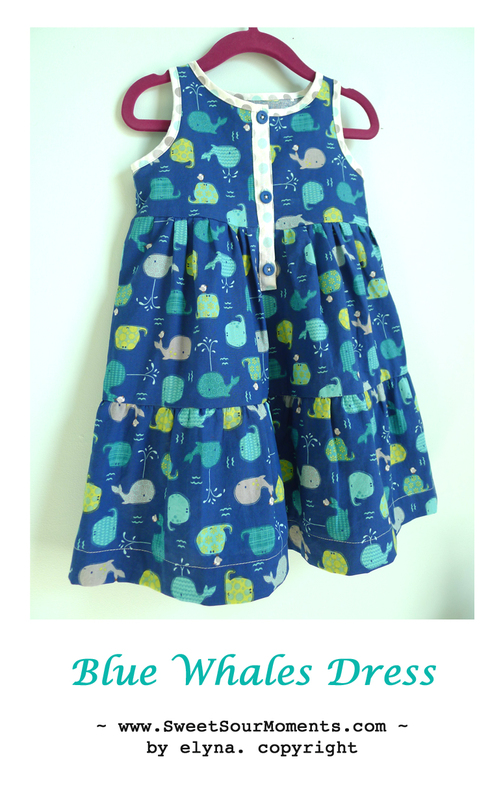 This dress is a summer racer back dress ( like the one I made before) with tiered bottom. 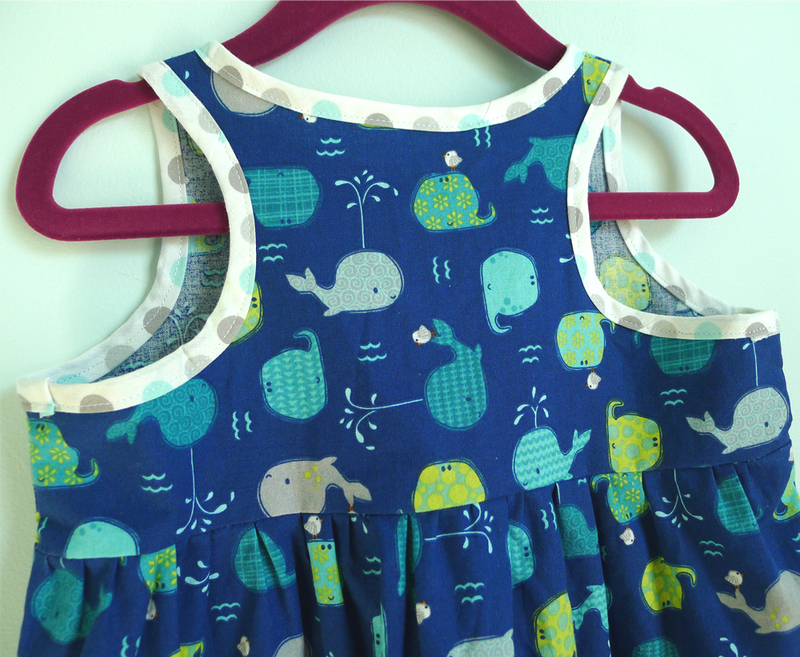 To differ it with previous Whales Dress I named it Blue Whales Dress… believe it or not, creating name for dresses sometimes is harder than sewing it. 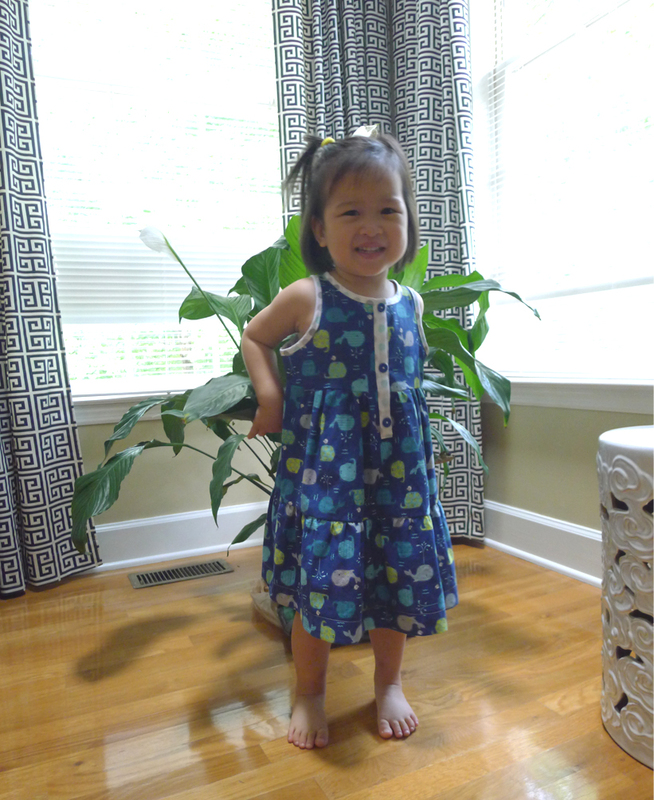 And this is always be my favorite part, seeing my little darling in mommy’s made dress.